“As the cannabis industry grows and matures, it’s vital that we work together for a common-sense legal framework for cannabis policy,” Speaker Boehner said in a statement. As membership grows, he says, NCR will be comprised of growers, processors, retailers, wellness centers, investors, entrepreneurs, and publicly traded companies. Acreage Holdings is a founding member of the group. It’s time for your Daily Hit of cannabis news for January 24, 2019. On February 3, the 53rd Super Bowl in Atlanta Georgia will decide the league champion of football for the 2018 NFL season. If you are in attendance at the Super Bowl, you will see CBD coffee ads in the stadium, but if you are watching the game from home you will be not be exposed to any cannabis related advertising. New York-based Acreage Holdings, Inc. (CSE: ACRG.U) wanted to run an advocacy ad during the game. The ad featured three medical marijuana patients saying how the product had helped them. It made no health claims for their own products and it didn’t promote the purchase of the company’s products. Football fans at the stadium will, however, see advertisements for Baristas Coffee Company, Inc. (OTCPK: BCCI) White Coffee and the new Baristas EnrichaRoast CBD Coffee. The company said that the ads will run throughout the day in and around the stadium before, during, and after the game, and will include a special offer to send a message to Maroon 5. Carol Bartz, former CEO of Yahoo and Autodesk and former Cisco Board Member, along with three time Super Bowl MVP and Pro-Football Hall of Famer Joe Montana both participated in Caliva’s initial round of funding. Ms. Bartz will serve on Caliva’s Board of Directors. Kona Gold Solutions, Inc. (OTC Pink: KGKG), a hemp and CBD lifestyle brand focused on product development in the functional beverage sector, is pleased to announce they have acquired the newly formed distribution company, Gold Leaf Distribution, LLC. Gold Leaf Distribution, a Florida based company, has purchased its first beverage truck, which will be fully wrapped to advertise Kona Gold Hemp Energy Drinks, HighDrate CBD Energy Waters, and Storm CBD Waters. The Company is presently conducting interviews to hire a full-time beverage sales person/driver that will establish new distribution routes in the Melbourne-Orlando Florida markets. Elev8 Brands, Inc. (OTCQB: VATE) has acquired Blessed Bean Coffee, LLC. Elev8 Brands, Inc. continues to execute on opportunities for potential growth. The Company is now able to control the means of production from start to finish. Elev8 Hemp, LLC, a wholly-owned subsidiary of the Company, has seen tremendous growth over the last twelve months and should continue to do so throughout 2019. The Company has acquired Blessed Bean Coffee, LLC for 3,541,228 restricted common shares of Elev8 Brands, Inc. With the growing demand for Elev8 Hemp Coffee, the Company plans to purchase a larger roaster and other miscellaneous equipment to increase productivity and continue increasing the volume. Plus Products Inc. announced that the OTC Markets Group, Inc. has approved the trading of the Company’s shares on the OTCQB® Venture Market and will commence trading under the symbol “PLPRF” on January 23, 2019. The Company’s shares will continue to trade on the Canadian Securities Exchange under the symbol “PLUS”. Additionally, PLUS has also applied for eligibility for book-entry delivery and depository services of the Depository Trust Company (“DTC”), to facilitate electronic settlement of transfers of its shares in the United States. This electronic method of clearing securities speeds up the receipt of stock and cash and accelerates the settlement process for investors. DTC eligibility will help enhance the Company’s potential investor base and offer a more convenient trading experience for current and future shareholders while enhancing the liquidity of the Company’s shares on the OTCQB. Vangst, the leading human capital resource platform to the legal cannabis industry, announced today the closing of an over-subscribed $10 million Series A financing round. This round increases the total capital raised to date by the Company to $12.5 million. The financing was led by Casa Verde Capital and included Lerer Hippeau, among others. Early this week, Plus Products filed a preliminary prospectus for its IPO, and is planning to list shares on the Canadian Securities Exchange once it achieves the listing requirements. The prospectus seeks to raise $15 million through the offering, for which the lead underwriters are PI Financial and Canaccord Genuity. Plus Products plans to use 40% of the capital raised to expand capacity, within the California market only where they have seen a tremendous amount of growth. Their products rank as the fourth most popular edible in all of California, according to BDS Analytics. The company’s mission is to “make cannabis safe and affordable”, offering options in low-dose edibles. 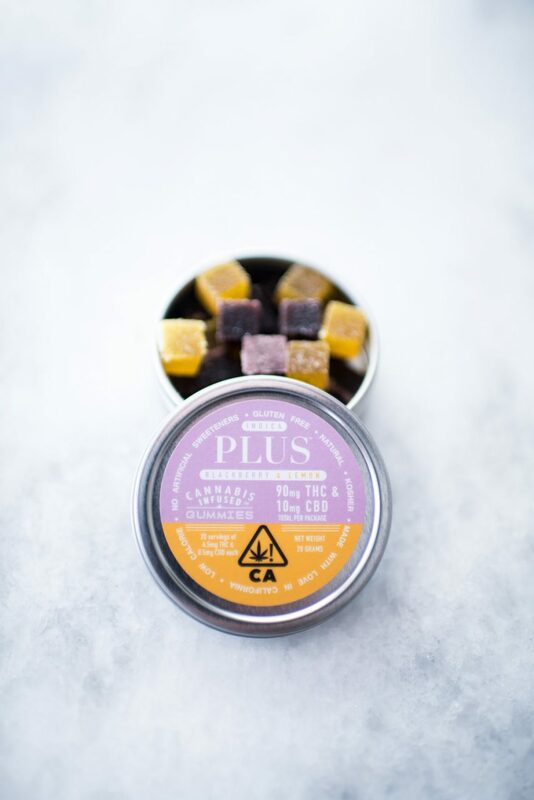 Plus Products is owned by its subsidiary, Carberry, and currently offers six infused-gummy products to customers in California. The gummies are sold in over 200 dispensaries and have made their way into delivery services such as Eaze. Once they have saturated the California market, the company plans to expand into other legalized states, and possibly Canada. The company was recently valued at approximately $25 million and plans to pursue a much higher valuation through the increased capital from this offering. The company claims to trade at 1.7x revenue. Plus Products’ offerings are ambitious, to say the least. They only incorporated on March 29, 2018, and have reported net losses due to operational costs, and anticipates more losses as operational expenses are increased. At present, according to the Prospectus, the company did not generate operating revenue and is in the negative for cash flow at present. During the first half of 2018, Plus Products generated $2.45 million in sales. In 2017, they generated $1.07 million in sales. 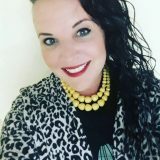 Nevertheless, the prospectus has an optimistic tone, pointing to the success in the California market and the patent-pending features of the products that make it unique such as extracting cannabis oil so that there is no smell or taste to the gummies. 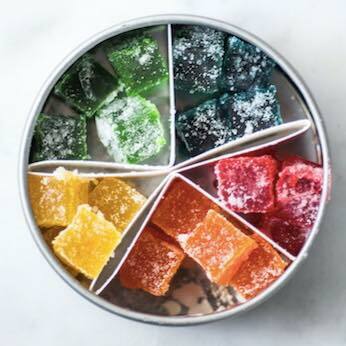 Palo Alto-based cannabis-infused edibles brand Plus Products closed an approximately $6M in Series B financing to expand its operations. The financing was led by Serruya Private Equity Partners (SPE) and Navy Capital Green Fund LP. The money from the capital raise will be used to fund rapid production capacity expansion, factory automation, working capital, and new product development. Edibles have proven to be big winners among the recreational consumer in California. According to BDS Analytics, edible products have accounted for 18% of marijuana retail sales in February 2018 across licensed retailers in California. One of the biggest drawbacks with edibles is that consumers typically wait at least for a half hour for a response after ingestion. PLUS products are known for its rapid reaction. BDS Analytics also noted that PLUS ranked in the top ten sales for edible brands in California. All of the PLUS products are produced in the company’s dedicated food-safe cannabis manufacturing facility in Adelanto, California. According to a company statement, the 12,000 square foot facility was outfitted for scalable food production with funds raised in 2017’s Series A round, led by The Green Organic Fund and Verde Mountain Fund. In addition to its established lines, Plus Products has already begun launching limited edition products that capitalize on holidays like its Valentine’s day themed Rose & Vanilla gummies, which were available at select locations and through delivery services.